I blogged at the time that “The future of the UK jobs market” was the standout session of the Conference for me and I have to agree with my Twitter colleague @LearnPatch who tweeted at the time that it should have been in front of the whole conference. I have to be hold my hands up and admit I ended up in it by accident rather than design: most of the blogsquad seemed to be going to the Leaders in Learning session that happened at the same time and I thought I had better go to this as “someone had to”. I am SO glad I did. My blog gives more detail on the session, but I had a complete “penny drop” moment when Norman Pickavance said “Leaders have started to make a distinction between the people who matter and the people who don’t”. The opening keynote from Rita McGrath was excellent. As I remarked to several people at the conference, it was almost as if she had ambled on stage and proceeded to tell us a series of things she’d heard or read that added up to her and what she made of it. I reckon to do that in front of such a large audience requires a mastery of your subject and the art of public speaking – she kept me engaged from beginning to end. Again, you can read more on my live blog from the session but the critical point she made that struck me hardest was that competitive advantage is now transient. Her analysis makes more sense to me (and is far more useful) than the VUCA concept that is often quoted in this kind of discussion. This quote from Kevin Murray’s session on Leadership Communication (see my live blog here!) made me smile at the time and has been on my mind since. How often do we engage our ears before we engage our mouths? I know I’m guilty of wading in with my thoughts about a problem before really listening to what people are saying. Next time I find myself about to do that, I’m going to think of this quote. Darren Hockaday and Sue Swanborough made a lot of practical points about how we as HR teams can demonstrate our value to our organisations with their homegrown three stage model, consisting of our day-to-day interventions; leading cost reduction programmes and our involvement in Exec-level ad hoc activities. This was not a buzzword bingo session but a proper, pragmatic look at how we can demonstrate our value, even if “Commerciality over art can’t win out” as the Wonder Stuff would say. 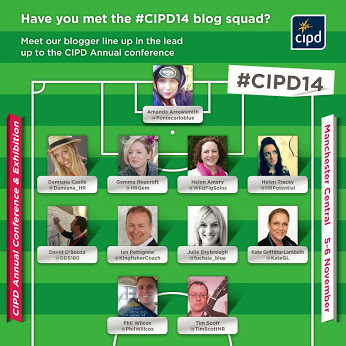 The CIPD assembled a bunch of bloggers and tweeters with a very diverse set of interests and backgrounds for this conference – from old hands to newbies like myself and Helen Tracey. I can honestly say I’ve never worked with such a supportive and motivating bunch of people from whom I learned a lot in a short space of time – as an example, Helen Amery gave me a hugely helpful impromptu training session on the WordPress app! I sometimes worried a bit that some of the online banter could be interpreted as a bit self-congratulatory and cliquey: that could not be further from the truth as I saw every member of the team engage enthusiastically with a broad range of people throughout the conference and do their best to share the facts and analysis with the outside world. M&S and Barclays are involved in this fantastic-sounding movement to try to help young people break into the world of work. The organisation I work for, Brook, encounters young people as they experience the full variety of issues that you’d expect them to face at their stage of life and we know that employment is often at the heart of other issues. It was great to hear about two large employers tackling this – and I’m going to see if we can help. The exhibition area seemed particularly buzzing compared to last year. Obviously the stand holders are there to sell their stuff, whatever that might be, but I felt there was more engagement and in my blogging capacity I made the effort to speak to people who engaged me and then tweet about them. 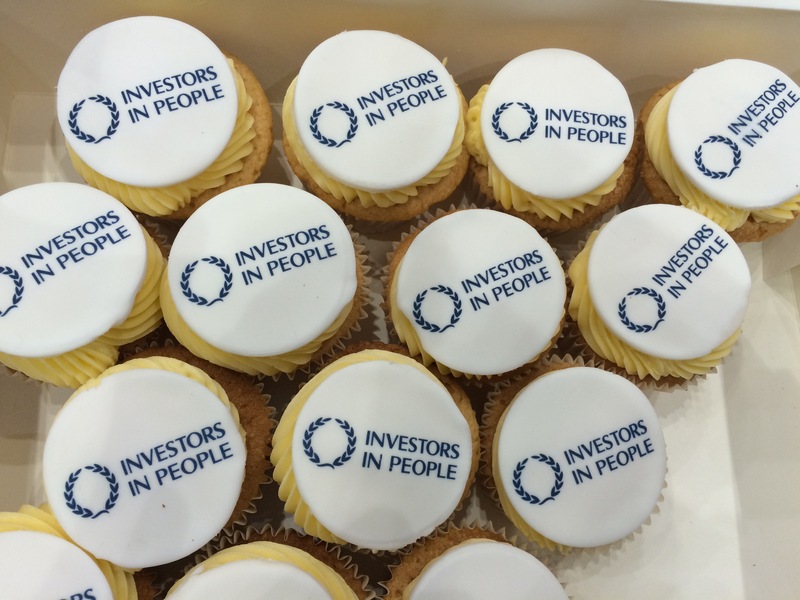 A special mention has to go to the Investors in People stand where they definitely made an effort with their cupcakes, champagne and a heavy Twitter presence! It was great to see so much free learning going on around the Conference with all of the free events. Particular mention has to go to Pete Monaghan‘s ACAS session where I could hardly get near him as he’d attracted probably double the capacity of his venue. Plus of course there was official support for a Street Wisdom session and Doug Shaw and Megan Peppin‘s HR Unscrambled and Reflect & Connect sessions as well as the almost traditional speed networking. It was great to see people really engaging with all of these things. 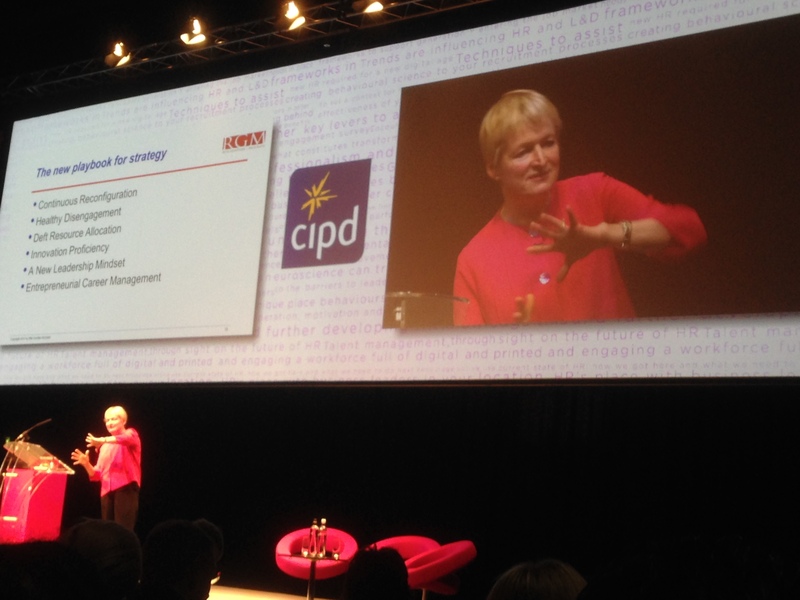 As much as I’d love the CIPD to hold the conference in my home city of Liverpool (and of course we do have our fantastic Arena & Convention Centre, hint hint), I have to say that Manchester Central is a venue that is difficult to beat in terms of space and personnel. From my perspective, the event ran like clockwork which is no mean feat given the number of people involved. So that’s my ten good things. The conference left me with a lot to think about in terms of the content of the sessions I attended and some of the conversations I had around the fringes. A question I kept coming back to was how do we increase the reach of the new thinking? I didn’t hear many ideas that were brand new to me – which I assume is because I engage with social media most days. But we’re only touching the tip of the iceberg – how do we reach out to people like me in my pre-Twitter days, a standalone HR person doing it the way I’d always known? Overall I stand by what I said in my pre-Conference blog: “If you’re on the fence or not sure what value you’ll get from it – like me last year – I’d say you won’t know unless you give it a try.” I know I got an enormous amount of value from it, both last year and this year. 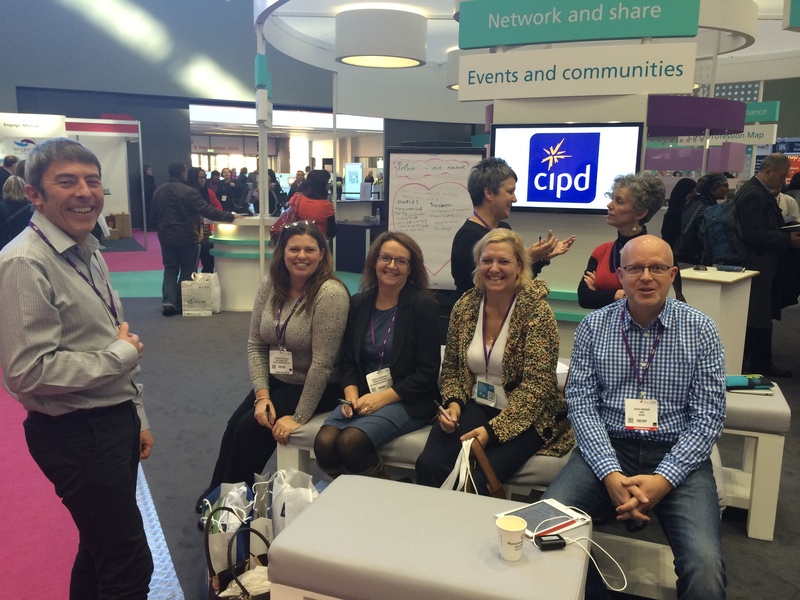 Which is why I’m already looking forward to #CIPD15. Live blogging can’t be easy, I have to say – so I’m not surprised you didn’t have time to offer your own opinion on things. I still need to catch up on your other blog posts, but thanks so much for sharing them! And so glad to hear that you had a great time. A helpful summary thanks Tim. My personal fave was the Art of Conversation – a pleasure to work with Meg and the buzz in the room and the participation was just fab! Loved it! I spent a lot of time prepping this time around, I didn’t get to see as much as I’d have liked, so write ups like this are helpful for people like me. On the whole I felt people were enjoying themselves and I think the CIPD made a big push to include a more diverse mix of opportunities this year, built nicely on the year before. 2 Pings/Trackbacks for "Ten Good Things"